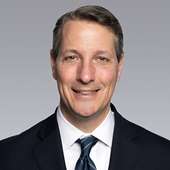 Patrick Hewitt focuses on tenant representation services as a Vice President in Colliers International’s Downtown Chicago Office Advisory Group. For over 6 years, he has specialized exclusively in tenant representation services. Patrick consistently creates value for his clients through his deft understanding of local transactional work. He focuses his efforts on supporting tenants within the legal, professional and financial services industries. Aside from providing superior market knowledge, Patrick closely partners with his clients to understand their exact needs as they relate to their overall business strategy so that he may help them drive revenue, enhance culture, recruitment & retention through their office environment(s). 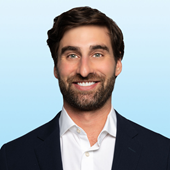 Patrick joined Colliers in 2018. Prior experience included working as a Vice President at JLL specializing in tenant representation services. There, he represented a diverse group of professional services clients and provided real estate strategies ranging from acquisitions and dispositions to lease restructures and consolidations. Prior to JLL, Patrick worked as an associate at Transwestern, where he also provided tenant-focused commercial real estate advisory services. Though originally from Solon, OH, Patrick has lived in and been an active member of the Chicago community for over a decade – albeit whilst continuing his self-loathing tendencies through his eternal, unabashed Cleveland sports fandom. In order to enhance accessibility and exposure to his clients, Patrick currently resides directly within the Chicago Loop. David’s advises corporate clients through tenant representation brokerage and corporate real estate advisory services. He leads a multi-disciplined team with clients including middle market companies, financial and professional services, law firms, Fortune 500 companies, technology and media industry, as well as some from the education sector. His integrity and entrepreneurial energy inspires his teammates to solve clients’ problems selflessly with conviction and distinction. David is a leader in Occupier Advisors (OA) and Corporate Solutions (CS) practice groups. Promptly after college graduation, David worked on Capitol Hill a few years before becoming a site selection consultant at Arthur Andersen LLP. His passion for real estate then accelerated and he obtained his MBA in Finance, Marketing and Real Estate before joining CBRE to specialize in tenant rep brokerage and corporate accounts. He progress in the same disciplines at Cushman & Wakefield before joining Colliers in 2008. As a Principal at Colliers, he has a vested interest in seeing the firm's regional cultural success and profitability. David and his wife, Kristy, have three sons. As a Senior Associate within the Corporate Solutions team focused on tenant representation services in Colliers International’s Chicago office, I specialize in the optimization of companies real estate holdings through workplace strategy development and implementation, site selection, property disposition and acquisition, financial analysis and modeling, deal negotiation and construction project management. My clientele and area of focus is primarily in the downtown Chicago marketplace. I am a leader on a team committed to delivering comprehensive real estate solutions to some of Colliers most valued customers. I have been recognized for exceptional service and am one of just a few professionals nationwide selected to play an active role on a Development Council focused on creating workplace solutions that satisfy the evolving demands of technology, space compression, design preferences while satisfying a wide range of work activities. Over the last few years, my team received the Service Provider of the Year award at the 2015 REAL Awards presented by CoreNet Global, which recognizes exceptional service delivery on a consistent basis while bringing innovative ideas to the table. I joined Colliers in August 2012. Prior work experience included working as an associate director at Newmark Knight Frank specializing in tenant representation and corporate advisory services. There, I represented a diverse group of clients providing real estate strategies ranging from acquisitions and dispositions to lease restructures and consolidations. I previously served as an associate vice president at UGL Equis, where I provided tenant-focused commercial real estate advisory services. As a senior financial analyst in the downtown Chicago office, I specialize in coordinating with team members and clients to develop comprehensive financial analyses that are highly project-specific. I consult and strategize with clients to develop the most appropriate analytical approach to take relative to their needs. With my vast experience in market research and in conjunction with my analytics role, I oversee the market research function in the Chicago office and am an active and integral part of a global team of researchers. With more than 10 years of experience in both research and analytics, I create portfolio-wide optimization strategies for clients highlighting efficiencies in space utilization and rents. Combining my knowledge of the market with detailed financial reports, I help clients analyze and benchmark their position and create maximum leverage. My work often includes developing proformas to project estimated costs, utilizing a blend and extend analysis to leverage negotiations with landlords for reduced rental rates and producing other financial models that ensure tenants achieve the lowest real estate cost structure possible. Whitney is an Associate in Transaction Management for Colliers International | Downtown Chicago Corporate Solutions Team led by David Burden. 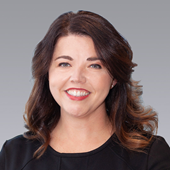 An experienced transaction and Escrow manager, Whitney specializes in the day-to-day execution of the regional and international client portfolios. Whitney is the Transaction Manager for multiple client accounts including Huron Consulting, a global consultancy; Convergint Technologies, a Chicago-based security services firm, Sullivan Cooter, a medical consulting services firm and Canon Solutions America, Inc. 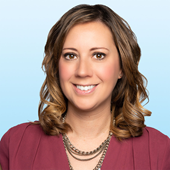 Prior to joining Colliers, Whitney was a Transaction Manager for a top team of multi-family brokers at Berkadia. A licensed real estate broker in Illinois, Whitney oversaw the management of transactions for her team through critical dates management from contract negotiations through the Escrow process, maintenance of due diligence deliverables, organizing third-party inspections, understanding and implementing title policy, weekly marketing analysis, marketing relations and daily client service. During her time at Berkadia, Whitney helped facilitate the closing of over 70 transactions throughout the Midwest. 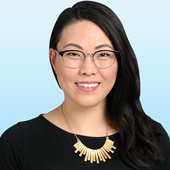 Jackie is a senior client services coordinator in Colliers International | Chicago’s Downtown Office Advisory Group and key member of the Chicago Corporate Solutions Team led by David Burden, a principal. Jackie is a direct liaison between the team and its clients responsible for managing the day-to-day and ongoing communications process. She also provides support in marketing strategy, meeting and event planning and project management. Prior to joining the firm, Jackie was most recently a client services coordinator at CBRE, where she was responsible for coordinating the production of client facing marketing materials, compiling and maintaining client account records and liaising with in-house teams to coordinate service offerings and assess related costs. She was also previously a marketing coordinator / escrow manager with Marcus & Millichap, where she supported market research efforts, prepared offering memorandums, promoted and marketed multiple properties through third-party websites and planned, scheduled and coordinated property closings at out-of-office locations.